The moment you cross Microsoft Dynamics GP 2013 Login window and reach Company Selection window, you would realise that it is now uncluttered with Password field being removed. Looks pretty and clean to me. How about you all? 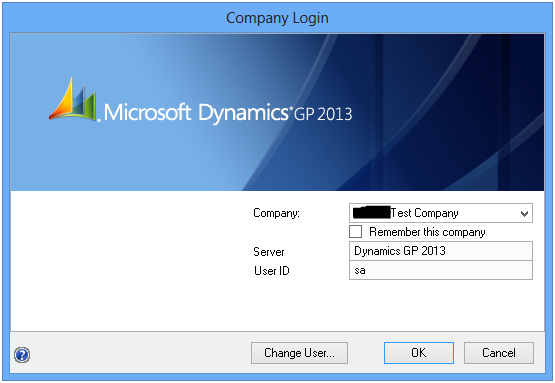 This entry was posted in GP 2013, GP Functionality, GP2013, Microsoft Dynamics GP, Microsoft Dynamics GP 2013. Bookmark the permalink.